CrimsonLegend's Sprite Place . :~*Open for Requests*~:. Discussion in 'Creative Archive' started by CrimsonLegend, Aug 5, 2010. And please give me credit. And ask if you want any of the above sprites. Wow, I really like your splices. The Phione with the wings and the dress is my favorite. The sixth and eighth ones look like they could be new Pokemon. You've got some pretty good talent. And, pardon my asking, but will you be taking requests anytime soon? Wow, thanks for your complements. And I will probably be taking some requests. I'll eit my first post. Thanks. Angel or Demon: Both; one of each. Main Color: Angel: Steel silver. Demon: Pitch black. Secondary Color: Angel: Turquoise blue. Demon: Blood red . Additional Parts? Other than using these Sprites, no. The first one is the Angel, the second one is the Demon. This will take a while to get the right color. Edit: Here you go Jason Wolfe. Hope you like them. Thanks, and call me Jason. They look great! Do you have the image URL? I need it because I wanna put these in my sig. Thanks. They look awesome in my sig. Keep spriting! Well, here's another sprite upload I did today. Hope you like them. I request a Pokemon crossed with a Vulpix and a Misdreaves. A purple body of a Vulpix but, the starting point of the legs start to dress, but no design on the frills. The height of Vulgost (the name of the Pokemon) is 2'06" and the weight is 7.2 lbs. The PokeDex entry is: The owner of a VULGOST is not treating the Pokemon right, it'll haunt that person forever. Please apply the form from the first post please. 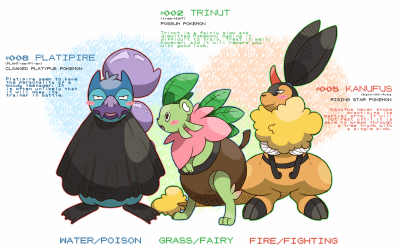 Are those over-world sprites of your Pokemons? 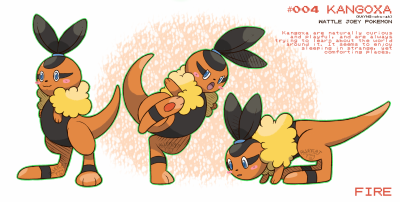 My gods, the third one is absolutely adorable And the fourth one looks so majestic and pretty. Nice job. They're awesome. Thanks Boo. I'm also taking requests here. If you want to. Pokemon Parts: I dunno, you can choose. Main Color: Salamence's body colour. Secondary Color: Charizard's inner wing colour. Alright, let's see if I can do that. Sprite complete. Got every detail into it. Wow, thankyou so much, that's REALLY awesome. :U I'ma go put that in my sig. Yet another sprite I made. (Note: Sprite might be wierd. O.o'') But I'll make more over world sprites in a moment. Oh my gosh, I love that one. XD Ghostly Wigglytuff. XD Can I put a link to this in my sig? You need more popularity for this. Oh my god. Angel Migi. I love it. And Musharna on a cloud! XD Love it! And that Kirlia with the dress: pretty. MY GODS IT'S AN EVIL WIGGLYTUFF. RUN. ITS LULZ WILL KILL YOU. Love it! And your new over-world sprites are pretty sweet. Keep going! Pokemon cospalays. That's new. I like the Eseon/Pichu, and the Glaceon breathing blue fire. Wow. Awesome. Great job! Heh, I've got 5 new PokeCosplays here. Hope you like them. Ok kerogirl. I got your sprites here. I hope you like them. Plus I made my own avatar again.